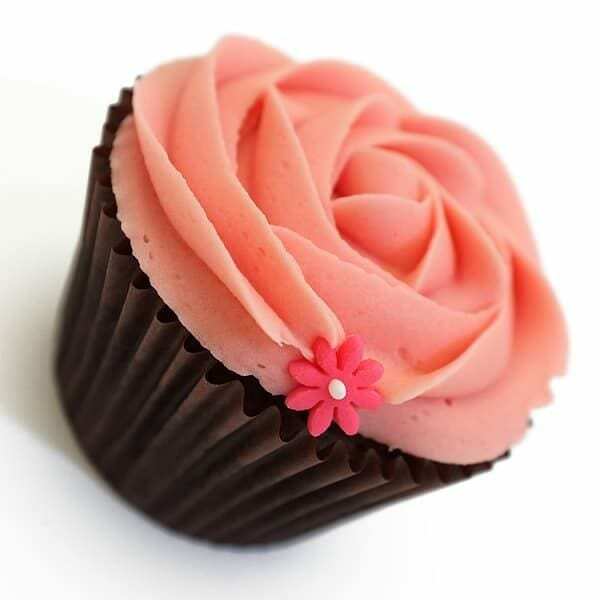 Every week I hear the odd comment how cupcakes are so passé, or people just don’t get what the fuss is all about! Sometimes they don’t know I bake cupcakes for a living / hobby and sometimes they do… and just decide to go ahead & slate it anyway 😉 I’m only joking, I don’t really mind, because clearly they don’t know what they are missing out on! I actually believe the complete opposite! I do remember the ‘cupcake boom’ so to speak, but I also have been doing this over 3 years now and can safely say that in my opinion they seem to grow more popular every year! Cupcakes are here to stay my friends! If you are new to baking then cupcakes are a great way to start. I have many recipe’s on this blog and if you can master one of these you can master them all! Promise… How about starting with a simple, but dreamy Vanilla cupcake recipe, moving on to a rich, indulgent chocolate one, red velvet even or if you’re really in the mood for something a little different; a dairy free cupcake recipe? Honestly, if you can do these, you can pretty much bake any flavour. How about the Dreamy Vanilla recipe but with a handful of blueberries in there? Some Rose water and a dab of pink food colouring? The possibilities are endless… and that’s just with the baking side! Don’t even get me going on all the decorating options, I’ll save that for another time. "Baking tips: Perfectly light sponge…"
"It’s a wedding – quick, let’s charge more!" I am going to point my husband in the direction of your blog…. He wants to try making them! I am totally supportive of this! Which recipe on your blog would you recommend for a beginner? Everything looks delicious !!!!! I wish I could make them <3 😀 !